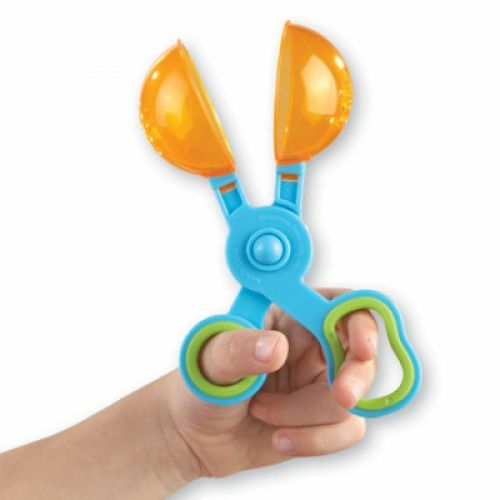 Here's the scoop: These unique tools are a handy way to build the muscles needed for scissor cutting! 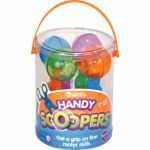 Tools feature translucent scoops and easy to grip handles for developing fine motor skills. Holes in the scoops allow for catch-and-release fun during water play. 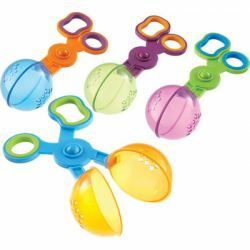 Fine Motor- Helps develop eye-hand coordination by grabbing small manipulatives or snacks with the Handy Scoopers. 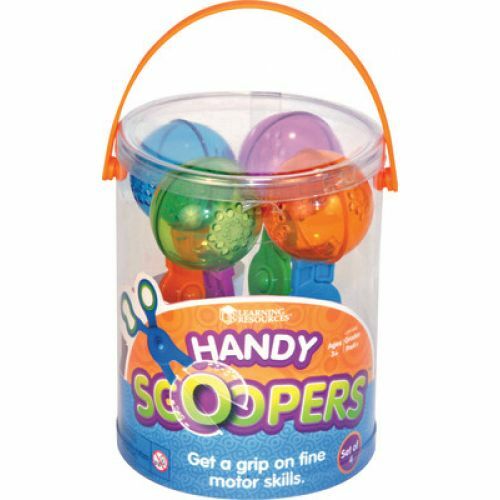 Sensory Integration- Use the Handy Scoopers in a sand box or water table to discover how the different substances sift through the holes of the Handy Scoopers.